Everybody wants to have a beautiful, perfectly maintained garden with neatly trimmed hedges and great plants everywhere. But most people don’t want to spend hours on their hands and knees every week looking after the garden. It takes a lot of work to keep the garden looking good, especially if you’ve got a load of high maintenance plants in there that need a lot of care. 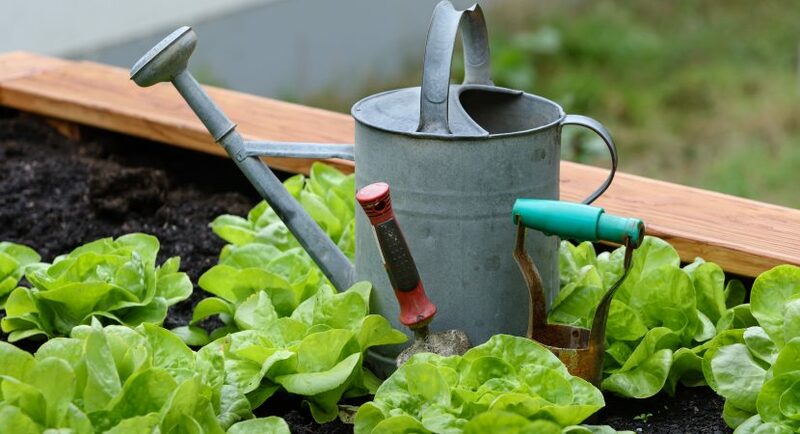 Trying to find the time to keep on top of the gardening might seem impossible if you’ve already got a busy schedule but it doesn’t have to be. It’s all about the way that you design the garden in the first place. Instead of letting it get overgrown and never using it again, just make these simple changes that make your garden a lot easier to manage. Anything that grows is going to need care, even if it’s only the occasional watering. If you’ve got a big garden, that’s a lot of lawn space and a lot of plants that you need to keep on top of. Putting a patio in will make the garden way easier to look after. You don’t need to worry about any of the plants, it just needs cleaning occasionally. You can split the garden in two and put patio down on half of the garden, it makes the space a lot bigger and makes it multi-functional, while also cutting down on the amount of time you spend gardening as well. If you like the look of a lawn and you don’t want to cover half with a patio, but you also hate having to mow it and look after it, multiturf is your best choice. This great artificial grass looks basically the same as real grass but doesn’t require any maintenance whatsoever. You won’t have to cut it or spend hours trying to get rid of any brown patches. Once it’s been laid, it’ll be perfect all year around. When you’re trying to create a garden that doesn’t need much looking after, you need to be very careful when you’re choosing the plants. Some plants are very delicate and you need to constantly watch how much water and sunlight they’re getting, otherwise, they’ll die. That’s going to take up a lot of your time. Luckily, there are plenty of plants that will get on just fine in most conditions and you won’t have to do much with them at all. Shrubs are a good choice because they grow easily and they produce a lot of flowers and berries which make the garden look great. Filling up a watering can and taking around the garden 2 or 3 times to water all of the plants is a bit of a pain and it’s usually the most time consuming part of gardening. You can avoid all of that hassle if you just get a sprinkler system in the garden. Set it to go off at regular intervals and your garden will always be properly watered without you having to do anything. Make these simple changes in the garden and you don’t have to spend hours every weekend making it look nice.